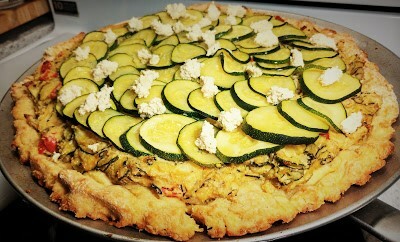 I came across a recipe for a Zucchini Tart with Feta cheese in May 2006 by Lynne Curry in Saveur Magazine. That was the best magazine subscription I ever had. So much yumminess, food and culture was inspiring and pushed me into trying many ‘foreign’ ingredients. In 2006, I was a mere newlywed and a poor cook, who found all ingredients mystifying. In those days, I scrambled to put something that wasn’t tasteless, overcooked, or saturated and expanded to the size of a small country on the dinner table. My husband cooked, too. We often threw in the towel and resorted to buying fish sticks and lots of plum sauce. And so when I came across Saveur Magazine at a bookstore – I wasn’t intimidated – I was ready for a serious foodie make over. To this day, just the thought of fish sticks and plum sauce engages my gag reflex. Anyway, I rolled up my sleeves and dug down deep. This Zucchini Tart was the first creation that came out tasting so wonderful – it had flavour, it wasn’t burnt or a ball of mush. Ten years later, I found this magazine packed up in a box from our recent move to Vancouver Island. The cover, which features the Zucchini Tart, spoke to me. 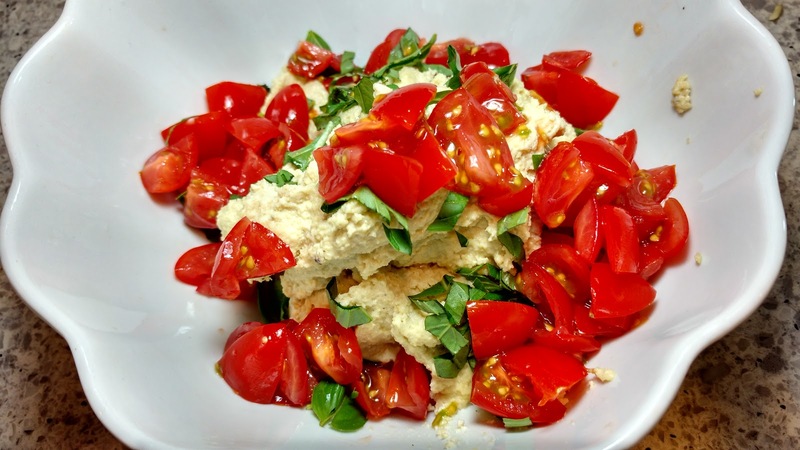 Since we have zucchini growing wildly in our garden, this was the perfect opportunity to recreate a wonderful dish with a few slight modifications – no feta, no ricotta, no puff pastry and no butter. 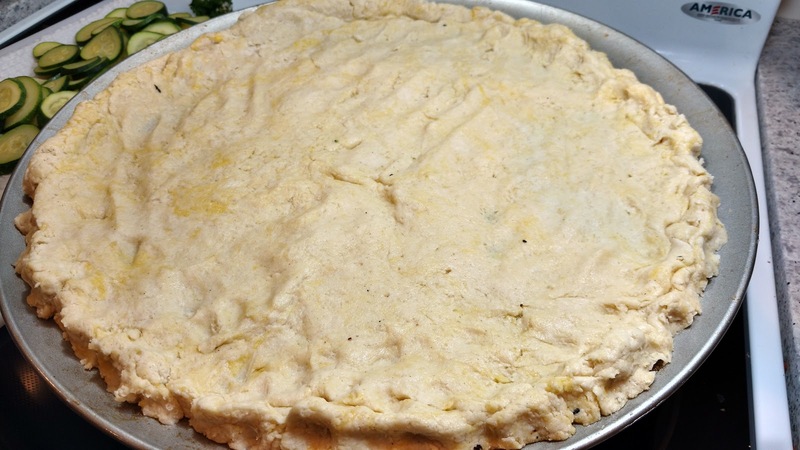 Make pizza crust and stretch across a 12 inch round pan OR a 9 x 12 baking sheet. Grate 4 of the zucchini on large holes of a box grater into a large bowl or use a food processor with slicing attachment. Add 1 tablespoon of salt, toss well, and set aside to let weep for 30 minutes (take out some of the moisture so your tart doesn’t become soggy). Transfer to a kitchen towel and wring thoroughly to remove moisture. 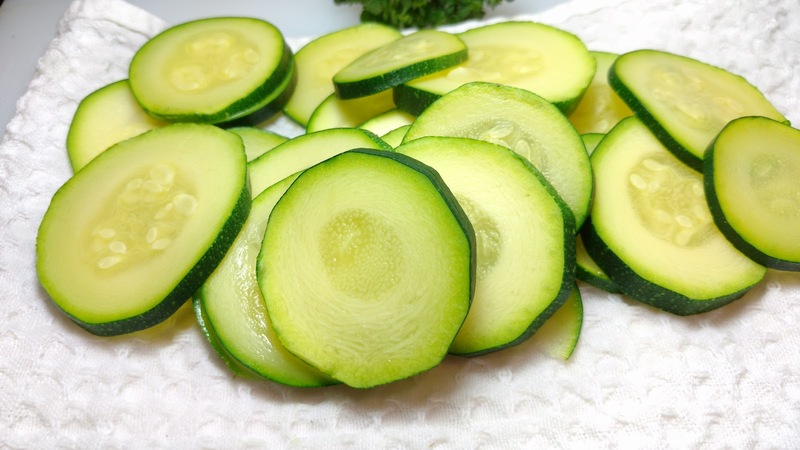 Meanwhile, slice remaining zucchini into 1/4 inch thick rounds. Working in batches, blanch rounds in a large pot of boiling salted water for 1 minute. Drain and spread out on a towel-lined sheet pan; set aside. Heat olive oil in a large skillet over medium heat. Add onions and cook until soft, 5-6 minutes. 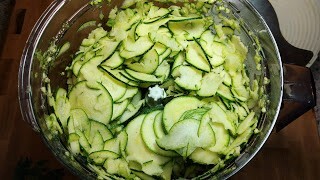 Add grated zucchini and cook, stirring often, until just beginning to brown, 5-7 minutes. Transfer to a large bowl; let cool. Stir tomatoes, half of the ‘cheese’, basil, and salt and pepper to taste into the zucchini mixture. Stir in egg and spread evenly in crust. 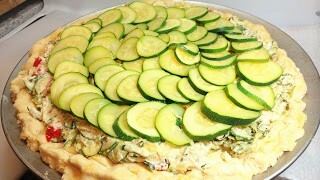 Arrange blanched zucchini rounds, slightly overlapping in rows, like tiles, on top. Bake 15 minutes, then brush the top with some more olive oil. Continue to bake until crust is golden, about 10 minutes more. Let cool to room temperature, then sprinkle remaining ‘cheese’ over top. Cut into slices or squares and serve.